Inflation numbers: The Consumers Price Index (CPI) numbers were released yesterday and the CPI (YoY)(Oct) number came in at 5.1%, slightly higher than the previous CPI number. The inflation number is currently watched carefully as a substantial increase in inflation might just trigger the South African Reserve Bank’s monetary policy committee to increase interest rates. 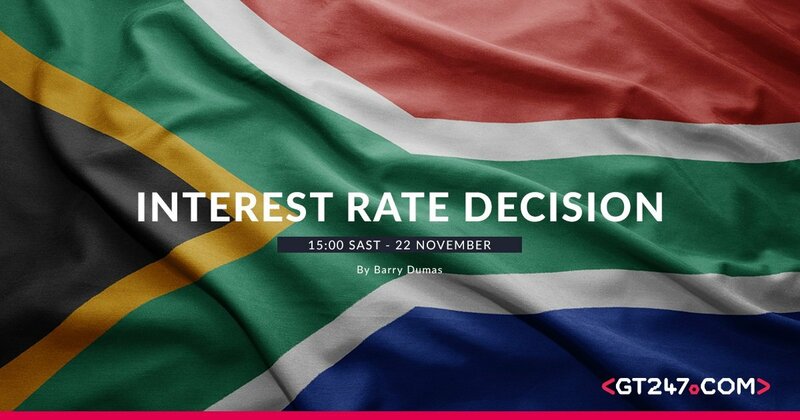 The Repurchase rate or (Repo Rate) is the rate at which private banks borrow from the SA Reserve Bank, the outlook is mixed but there is a slight chance that the rate will be increased by 0.25% to 6.75% later today. The Prime lending rate or (Prime Rate) is our benchmark rate at which the private banks lend out to the public, the outlook is mixed but there is a slight chance that the rate will be increased by 0.25% to 10.25% later today. The current market outlook is mixed on whether the interest rates will remain unchanged later today. Looking at the Rand (ZAR), the currency has been stable over the last couple of weeks and trading below R14.00 to the greenback as the market anticipates an increase in interest rates. If we do not see an interest rate hike today, then it becomes increasingly likely that we will see one after the next MPC meeting. The possibility exists that the U.S Federal Open Market Committee (FOMC) will raise their interest rates by 0.25% in December. If that transpires then SA will need to follow suit by increasing the repurchase rate (Repo Rate) at the next sitting. 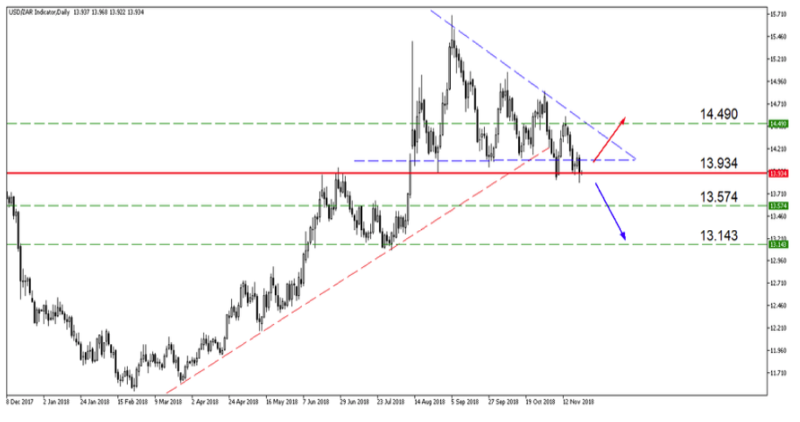 We can see that the currency pair has been consolidating within this triangle formation. If interest rates are increased today, then we might just see a clear move lower. The Rand (ZAR) is trading below R14.00 to the greenback and might move lower still to a target of R13.57 (blue arrow). If there is no rate hike and the FED raises rates in December then we can expect a move higher with R14.49 as a higher target (red arrow).